Dark Lord Day has become a bit of a circus since the first batch of this hard to get Imperial Stout was brewed in 2002. Over the years the crowds have swelled, the hype has grown and, quite frankly, all you drunken bastards have become a burden on the poor brewers at Three Floyds. They love you and all, but they got into business to brew beer, not figure out how to keep hordes of beer geeks happy. While they’re not complaining, they are getting smarter about the whole thing, learning from each passing year. In the beginning, they would run out of bottles before many folks in line could get theirs. This lead to many bummed out (and tipsy) folks who had to go home empty handed. Photo totally swiped from STL Hops - One of the BEST local beer blogs in the country - click the pic to check them out. A couple of years ago they started selling Golden Tickets before the event to make sure that people understood their chances before showing up. But last year, the site selling the tickets crashed, beer geeks protested, and lots of folks without tickets showed up anyway in hopes of getting some beer. They didn’t get any, and the empty-handed beer geek problem persisted. This year they are trying something new – no ticket, no admission. Instead of the 10,000 people they had last year, they are expecting 6,000 (the number of tickets being sold), which should make lines shorter, the food and rare beer pourings more accessible, and the whole day more fun and orderly. They are also fulfilling the tickets in lots, sort of like the way seats are called on an airline, which should also cut down on the amount of time people spend in line. Time will tell if they are solving a problem here or just creating a new one. Dark Lord Day has become a beer-geek phenomenon over the years, an annual pilgrimage to meet up with friends and fellow beer lovers. I’m curious to see if there’ll be people tailgating outside the event. It’s easy to see a scenario where one guy gets a ticket and then invites a few friends to make the trip to Munster, Indiana. Where are those friends going to hang out while their buddy gets his beer? If you’re interested, perhaps you can see for yourself. Tickets are $10 and go on sale tomorrow, Saturday March 19th at DarkLordDay.com and the sacred event takes places on April 30th. 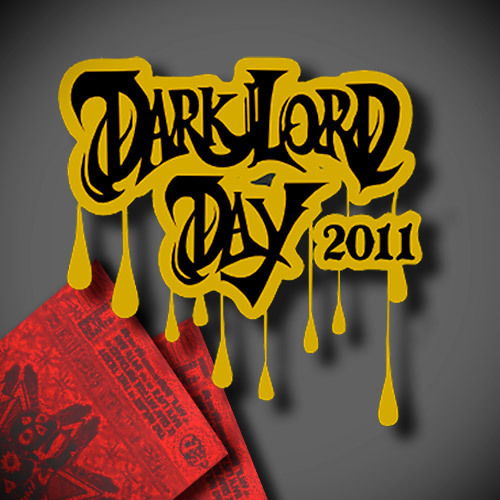 Have you been to Dark Lord Day? Is it worth the trip? Never been, but it’s a 4 hour drive north for me. I’m going online to try to buy tickets, but my problem is on actually Dark Lord Day I’ll be honeymooning in Jamaica. I pleaded my case to try to come home a day early, but the future Mrs. King wasn’t having that. If I get tickets, a buddy will go and get me some bottles…best case scenario. I like what they’ve done and the changes that have been made, from what I’ve read…it needed order. I’ve been to 3Floyds probably a half dozen times, their food is great and their beer is even better. It’s in the middle of an industrial area in Munster and driving by, you’d never know there is a top notch brewery there. It’s pretty small though and I’m sure they caught hell for last years fiasco with the town of Munster. I’d say it’s worth it to say you’ve been once. I’d like to go eventually, but it’s a 10+ hour drive, which ain’t happening. Victory Brewing Co is the same way as 3Floyds – a place that makes great food and better beer tucked into the corner of an industrial park. Very cool. Floyd’s is about 30 minutes from my house. I will be attending DLD again as it is always a blast. I know people that made plans to travel for DLD and were planning on showing up even if they didn’t get the golden tickets just to experience the day. Now if they can’t get tickets they took time off work and made travel plans for nothing, because they won’t even be allowed to join in the festivities. That is my only gripe about the changes, I think this is exactly what needed to be done I just wish they would have let us know sooner. Agreed Adam. Since people have to book flight and hotel plans early, it really put a damper on things. I notice Wrigley in your pic, I’ll be there April 2nd, rooftop in right field. GO CUBS! I wonder if there will be any consideration for folks without tickets, like a place for them to get together outside of the event. Kind of like tailgaters who don’t have tickets to the game. I will be attending DLD for the 3rd? 4th? year in a row. It’s a 3 hour drive from Indianapolis but we’ll be staying overnight in Chicago with friends for a pub crawl. 6000 people is still a lot of people. They’ve stated on their website that police will be enforcing a no loitering policy in the business park areas surrounding the brewery. I hope that Three Floyds has made arrangements to expand their area where people can hang out because I can’t see 6000 people in the brewery/Three Floyds parking lot alone. As a decent party planner, there are so many issues with this event. I feel lucky that I have the opportunity and means to attend and I think this year will weed out the riff raff. Every year always has issues and some things go well, others – not so much. You just have to take it in stride and hope for the best! I love it when they weed out the riff raff!! GET OFF MY DAMN LAWN. HA HA!!! That’s MY line!! If you do ever decide to make the trip out here – you can stay with us in Indy and make the rest of the trip with us. 🙂 We’d love to host you and I’m all Martha Stewart-y about it with a big yummy breakfast and snacks for the car, etc. That’s a great offer! I’m not sure I can talk the wife into driving that far for a beer though, especially if getting it involves hanging around thousands of drunk men with various types of facial hair. Yours sounds better – even to me!! mani, pedi, espresso oak aged yeti!